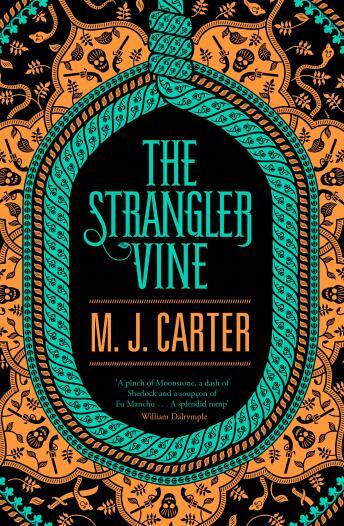 Penguin presents the unabridged, downloadable audiobook edition of M.J. Carter's The Strangler Vine, read by the actor Sam Dastor. India. 1837. William Avery, a fresh young officer in the East India Company, arrives in Calcutta expecting to be seduced by its ancient traditions. Nine months later he hasn't learnt a word of Hindoostani, is in terrible debt, and longs to return home before the cholera epidemic finishes him off. A few months earlier, so rumour has it, the infamous and disgraced poet Xavier Mountstuart leaves Calcutta in order to track down the last of the remaining Thugs, a sinister secret fraternity notorious for strangling thousands of travellers. But after reaching the kingdom of Jubbulpore, Mountstuart mysteriously disappears.